Quickly calculate distances between rate and wire center, see which carrier operates an NPA-NXX, get a list of all area codes and states in a LATA, track tariff filings, have online discussions with your peers, and much more when you use CCMI’s telecom research tools, all powered by CCMI’s industry standard telecom databases. Finding your dream job just got easier! Check our Job Board regularly for updated job postings. regulatory updates with our CCMI HUB Blog! When longtime Republicans and Democrats agree, what can stand in the way? Huawei's controversial status in North America and Europe stems from a lot of different factors. At the heart of most of them, however, is the hardware maker's alleged ties to the Chinese government. 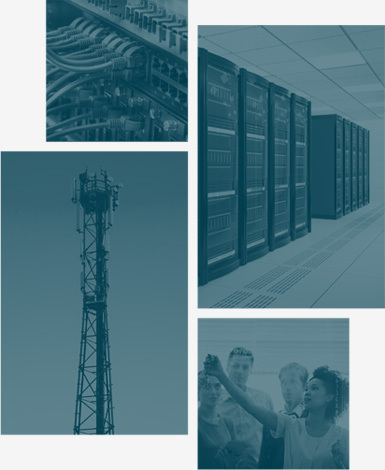 The telecommunications industry is dynamic. Whether you compete as a service provider or consume telecommunications services as part of your business, you need the most up-to-date information, tools and expertise to gain a competitive advantage. Join our community of Industry Professionals from across the country to learn about all things Telecom. From hot topics like Net Neutrality and Regulatory Issues, to Network Industry Events, the discussion board is your go-to place to connect and learn.